Location : Ibn Sina Presentation Room, Ground Floor, KENMS Building, IIUM Gombak Campus. Former alumnae of the Kulliyyah of Economics and Management Sciences, Mrs. Mirha Hassanbegovic (nee Saric) recently visited her former alma mater. During her visit, Mrs. Hassanbegovic, kindly gave a talk on 'Islamic Banking in Bosnia'. As a current board member of the Raiffesen Bank in Bosnia, Mrs. Hassanbegovic has keen insight into the progress of Islamic Banking in Bosnia. At the present moment, there is only one bank in the region, the Bosna Bank International (BBI), that is a fully Islamic bank and offers Islamic banking products. Under the leadership of Mr. Amer Bukvic as the CEO, the bank is steadily growing annually. Mr. Bukvic is also an alumni of IIUM. 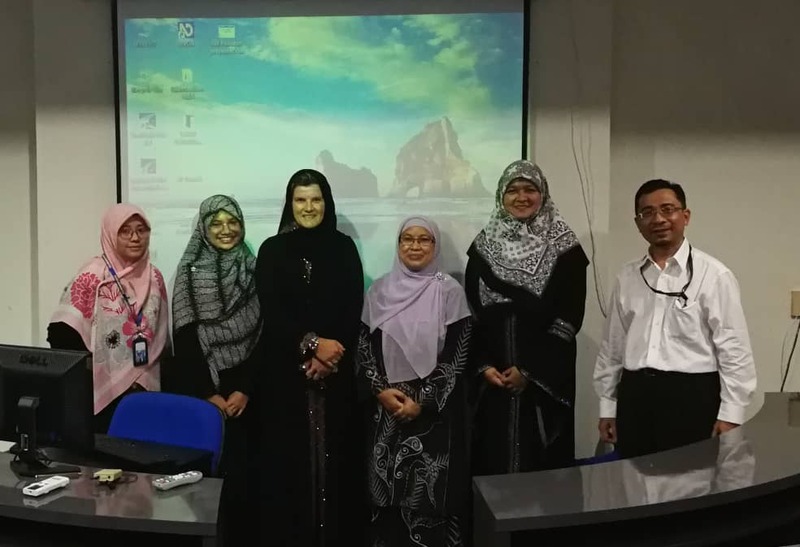 Mrs. Hassanbegovic mentioned that many alumnus of IIUM are now working towards developing Islamic Banking in Bosnia, and also in sharing their knowledge gained at IIUM in other sectors too.